Any car guys looking for something to do this weekend? We have a suggestion: Drop by Art Fair PH 2018 at The Link in Makati City. The display is on its sixth year, and is open to the public from 10am to 1:30pm, 2pm to 5pm, and 5:30pm to 9pm. You have until Sunday, March 4, to catch it. 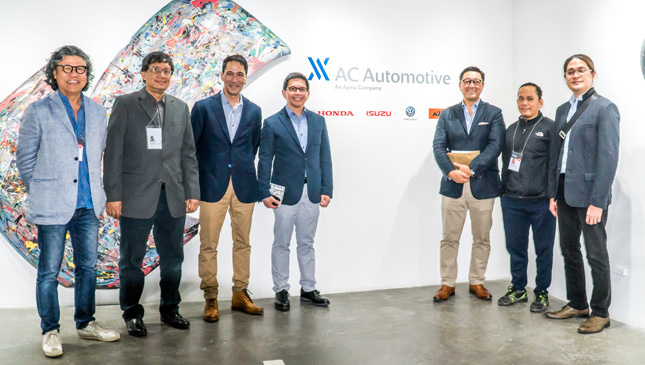 AC Automotive, aka the Ayala Automotive Group, is one of the event's more prominent exhibitors, and it has put up something special for all the gearheads out there. 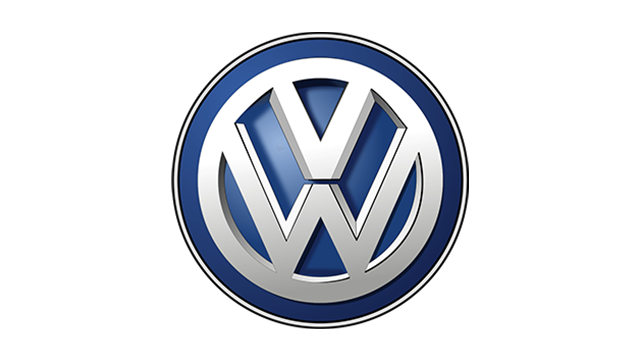 It is showcasing its four brands—Honda, Isuzu, Volkswagen and motorcycle manufacturer KTM—to create a neat display of automotive creativity. 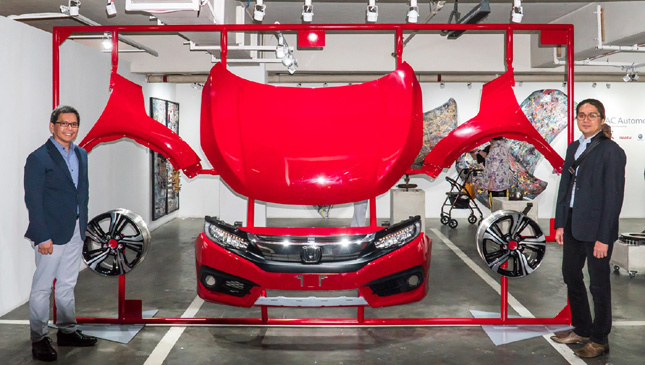 Sculptor Reg Yuson has worked with Honda to present "Fear or Desire," an artistic take on the Japanese carmaker's popular compact sedan, the Civic. 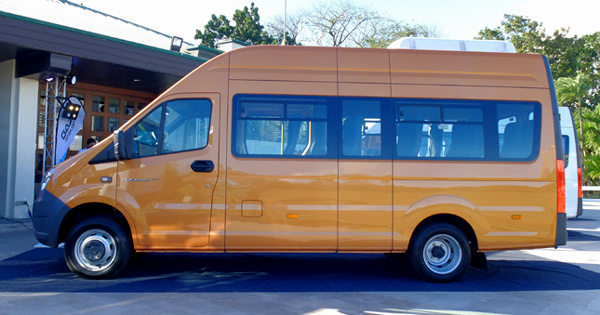 AC Automotive describes this as "a full-scale toy model kit in a box, signifying the childlike, albeit ageless, appreciation to the Japanese marque." Or, to put it simply, we think it's something scale model enthusiasts will drool over. 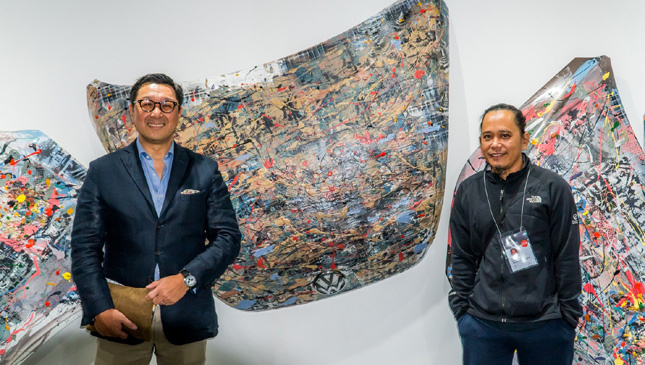 Painter-sculptor Dan Raralio's collaboration with Isuzu is "The Abstract of Concrete." Here, the artist has turned truck parts into concrete blocks, "representing the artist’s creative fingerprint traversing the figurative to abstract, classical to modern, interspersed with subtle word play." Art Lozano, a Baguio native, created "Urban Progress." This piece is a 3D painting using Volkswagen Beetle parts—a representation of his love for the classic German ride that captures "the tumultuous yet captivating process of industrious love being born." Deep. And lastly, Pete Jimenez is showcasing "The Racing Heart." 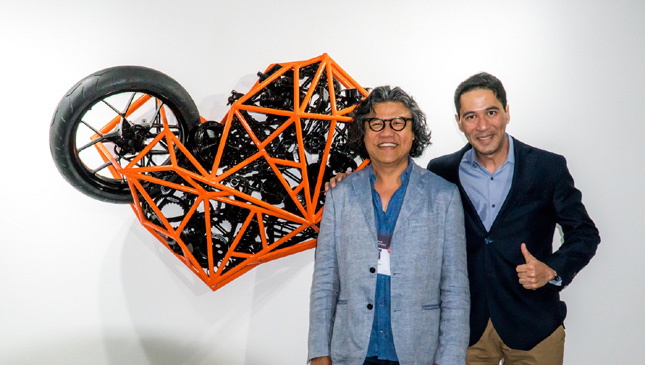 Here, Jimenez has sculpted the KTM's signature orange frame into the shape of a heart, encased within motorcycle parts. It speaks for itself, really. Interesting concepts. We just hope no cars or motorcycles were harmed in making them. 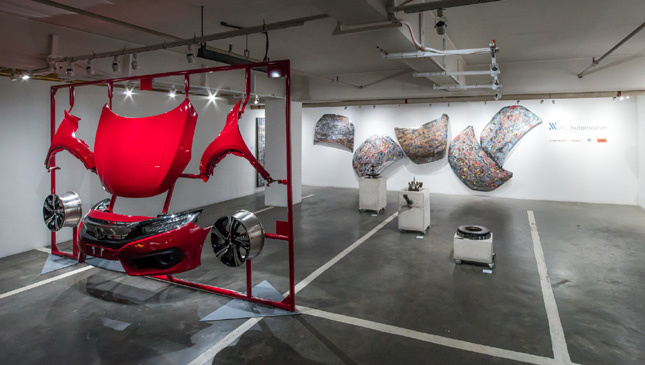 Whether you're a car enthusiast or an art buff, you should definitely drop by.